And they laid hands on them and put them in jail until the next day: for it was already evening (Acts 4:3). The text does not explicitly state that the apostles were chained, but it is not unlikely. 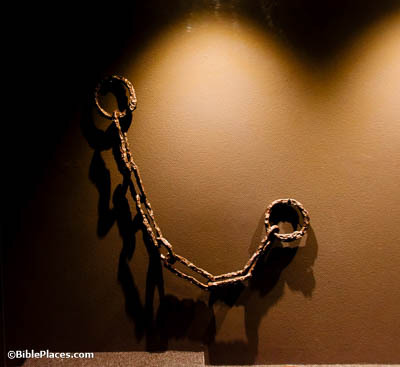 The iron chains shown here are one of a number of sets that have been found that were intended to be worn by slaves. They date to the first-century AD. Their rulers and elders and scribes were gathered together in Jerusalem (Acts 4:5). 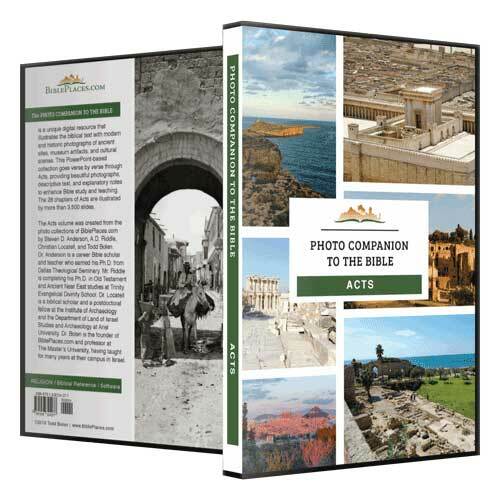 Nothing in Acts 4 indicates where in Jerusalem the leaders were gathered. However, the Royal Stoa (located at the southern end of the Temple Mount) would have been a convenient and spacious place to meet. 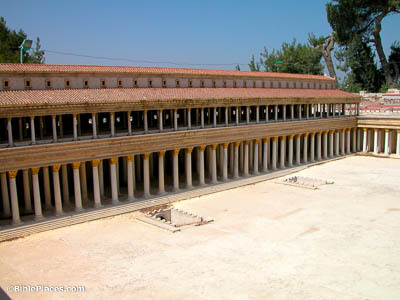 The stoa itself has long since been destroyed, but this model represents what it may have looked like. Those who were owners of lands or houses sold them (Acts 4:34). The early Christians were so transformed by the resurrection of the Messiah and their inclusion into His body that they were willing to sell their valuable land holdings in order to meet the needs of others. 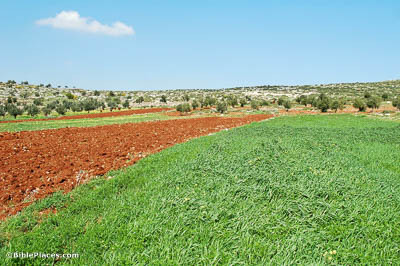 This photo shows one of many fields in the hill country north of Jerusalem. And distribution was made to each, as any had need (Acts 4:35). Some of the needs were likely caused by persecution of the early believers. As the Book of Hebrews illustrates, Jewish people who believed in Jesus faced ostracism from family and friends. They could have lost their jobs and homes, and thus they had a need for the basic necessities of life. 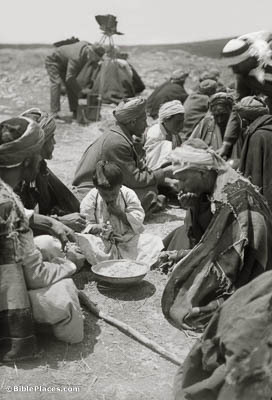 This American Colony photograph was taken between 1934 and 1939. And Joseph, who by the apostles was surnamed Barnabas . . . a Levite, a native of Cyprus (Acts 4:36). Barnabas was originally from the island of Cyprus (Acts 4:36), and he traveled back to Cyprus at least twice on missionary journeys (Acts 13:4-13; 15:39). 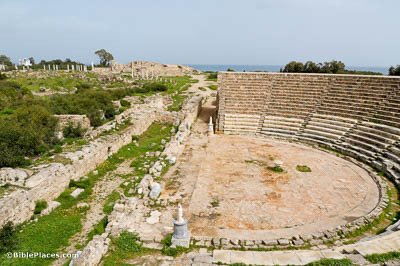 The buildings shown here are the most impressive among those preserved and restored in Salamis, the main city on the eastern side of the island, and Barnbas’s hometown according to early tradition.